We have a new format for 2019: monthly Fridays. The next dates for your diaries are Friday April 26th and Friday May 31st. When danced socially, Argentine Tango is a long way from the spectacular lifts and jerky head-snaps you might recognise from Strictly – and is instead a wonderfully creative opportunity to improvise movements with a partner to the beautiful (and varied) tango music. While the result may not look as flashy from the outside (we’re not always on stage! ), the focus instead is on connecting with your dance partner – and with the music – creating an addictive blend which has left countless dancers hooked over the decades! 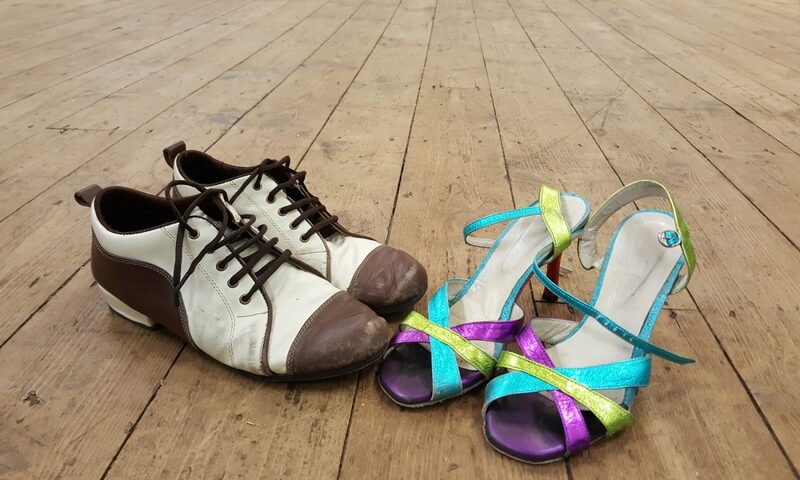 When it comes to Argentine Tango, the most common name for a type of dance evening you will come across is a ‘milonga’ (yes, it’s also the same name used for a style of music danced to alongside tango – it’s confusing at first but you’ll quickly get used to it!). A ‘milonga’ is typically a more formal event, with dancers making more of an effort to dress smartly and there will be a named DJ responsible for choosing the music. A ‘practica’ is typically completely informal (and Tango Kings is certainly informal!) – you can wear whatever you like – just dress in something comfortable to dance (but don’t forget to make sure you’re clean – if you’ve come straight from the gym without a shower it will be less pleasant for those you take into your dance embrace!). A ‘practilonga’ is then an attempt to be somewhere between the two – informal and with plenty of space to practise – and a party as well! We encourage everyone to share ideas about what works for them in the dance – and to ask others if there’s something they’d like help with. In this way, complete beginners are also welcome – as anyone who has taken even one lesson before can already start introducing the basic concepts to you. You don’t need to come along with a partner – people generally change partners every few songs or so. We also encourage everyone to try dancing the opposite ‘role’ to what they are used to (i.e. leading and following) – as this can really help with improving your dancing in your own role. The practica takes place in St. Catherine’s Church Hall, 169 King’s Road, CF11 9DE. There should be ample parking inside the church grounds – drive through the gates and park around the church. Join the Facebook group to stay up-to-date with any last-minute changes – or if you’re not a Facebook person, feel free to fill in this form and sign-up to our mailing list by clicking here.